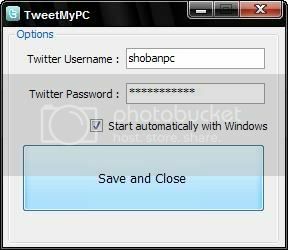 Using the free program (donations welcome) TweetMyPC, you can easily remotely control your PC to shutdown, restart or logoff. The software connects you to a dummy twitter account you create solely for the task of controlling your computer for anywhere in the world. It simply scans your twitter feed searching for command words and then executes your desired tasks.